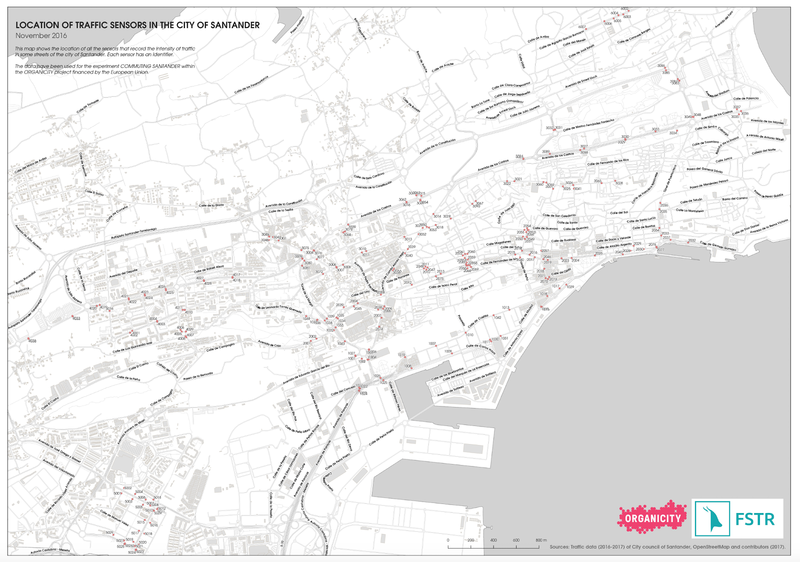 Commuting Santander aimed to supply an additional solution to Santander's crowded transport problem, specifically directed at commuters. This was achieved through co-creating a platform using OrganiCity facilities that allow employees and students to carpool in their daily commute. The project allowed citizens to increase their social network and save money, whilst helping to mitigate urban transport problem. The key members are David De Beukelaer (Founder and CEO), Santiago Hernandez (Founder & CFO) and Thimo Thoeye (Founder & CTO). "The experiment's idea is to offer a carpool service that works as a sustainable alternative to a traditional means of commute. 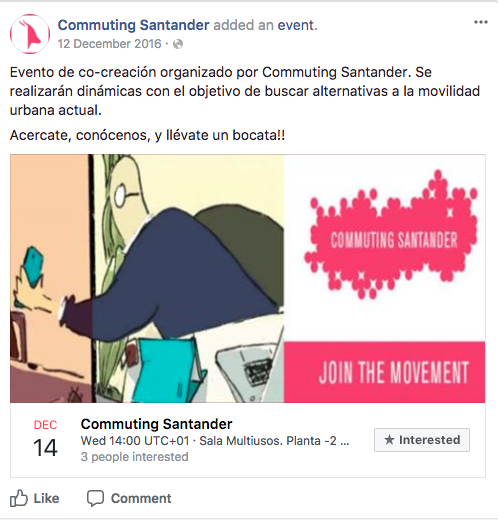 Our purpose is to explore the feasibility of a carpool service with a corporate approach in a Spanish scenario, and to gather insights from stakeholders in both public and private sector about the barriers and needs for incentives for the service"
During this phase we made a radiography of Santander's mobility using data available through OrganiCity APIs. The goals were to have a clear picture on Santander's mobility system, its key problems, reasons etc. Alongside this, we carried out a communication process with a purpose of dissemination. 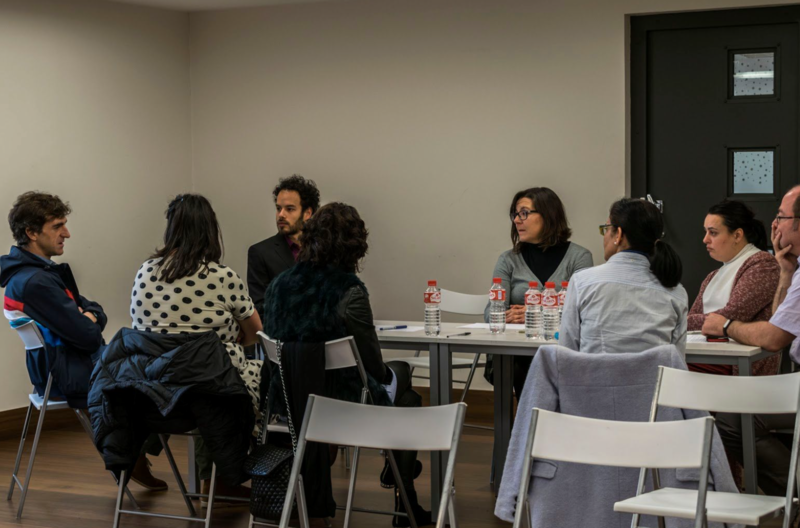 We organised co-creation events with companies, employees and students to research the barriers they encounter when carpooling and to co-create solutions for overcoming these barriers. On social media, we asked our users for the most relevant features (for them) in a carpool service; we discovered that the public transport and parking availability were the most relevant features. In parallel to our co-creation activities, we prepared our platform to integrate data assets from OrganiCity in order to add functionalities and personalise our carpool service. Having a clear picture of features in demand, we integrated parking data provided by OrganiCity through the Assets Discovery API to our app. Once our service was ready, we shared it to our stakeholders and on our social media. 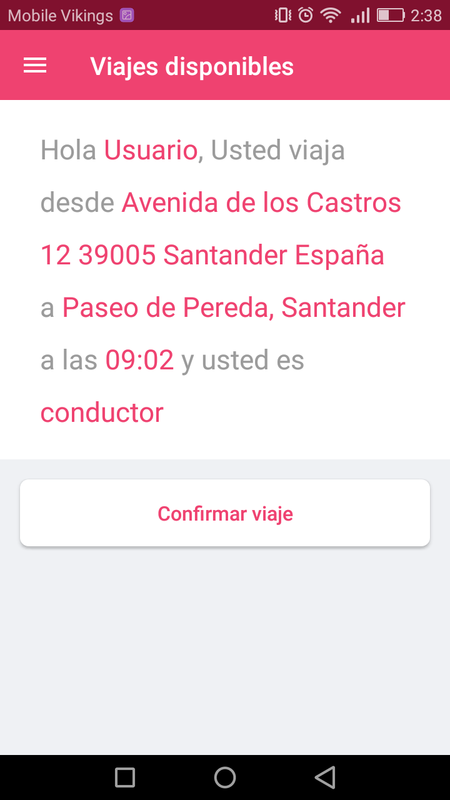 Feedback gathered helped us to fix unnoticed malfunctions in the match confirmation, and to further debug Commuting Santander app. 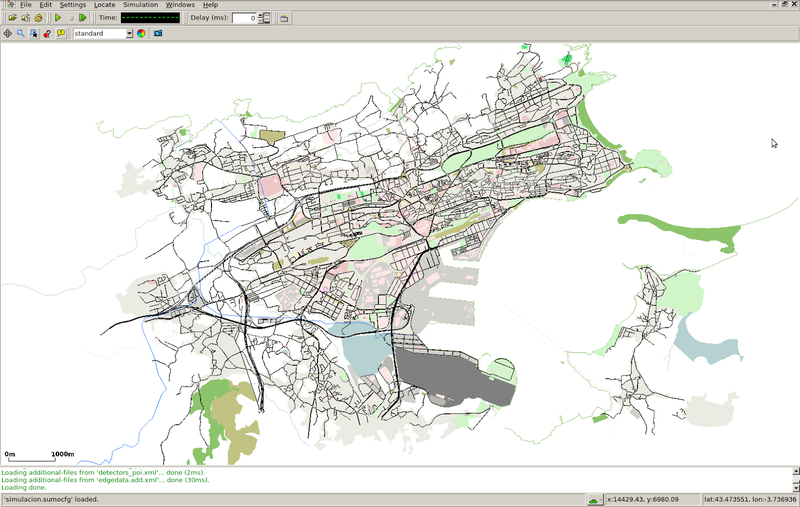 Detailed and up-to-date street network of Santander: Files in KML and GML format. Each line contains information on the name of the street, its typology (residential, pedestrian, etc), number of lanes and the speed limit. Location of magnetic loops: Files in KML and GML format, correcting the traffic sensors position. Each point contains information on the street, the lane and the loop identification number. There is also a PDF for visualisation purposes. 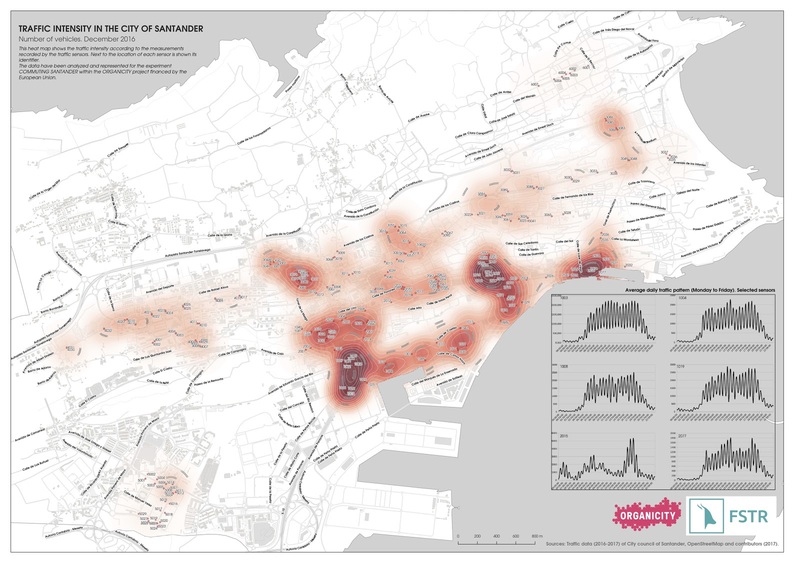 Heatmaps: Monthly traffic intensity heatmaps and average of daily pattern per sensor. 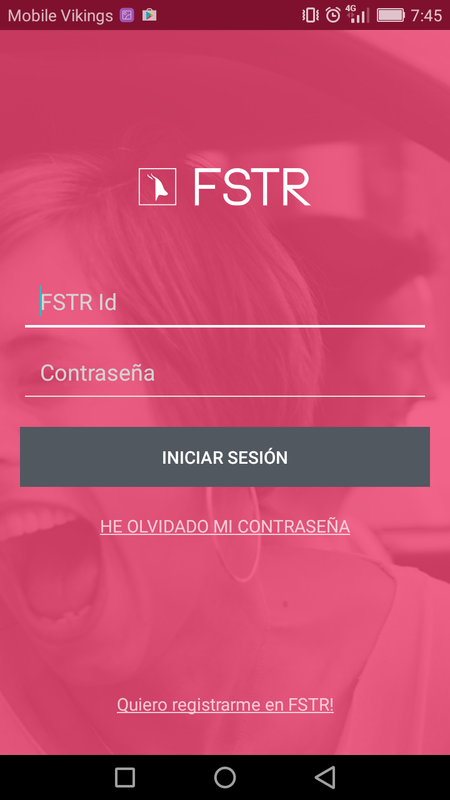 App: Android app with a “find a parking” feature feed by OrganiCity real-time parking data. The main challenge we encountered was the hesitation of users to carpool with a stranger, which reduces the experiment's impact. However, user verification process by the place of work or study reduced this hesitation for most users. While in Belgium, there is a financial incentive for companies to promote a sustainable mobility among its employees (public transport, bike, carpooling), in Spain there is no such incentive. So, why would a company support such a service in Spain? During the experiment we explored two options to allow the experiment's sustainability beyond the experimentation period: Option 1 - Go for an individual approach and make the user also the consumer. Option 2 - To work together with local organisations that promote healthy, ecological and sustainable mobility practices and offer a service under their sponsor. Unpredictable working hours are very common, especially among employees working in private sector. This lack of punctuality creates distrust, causing users (passengers) that have suffered a delay to stop using the service altogether. To overcome this problem, we are working on an algorithm that identifies unpunctual users and put them in a separate group when matching users for carpooling. This way, punctual users are only connected with other punctual users. What happened & what's next? It is our intention to integrate public transport as a standard feature to the app in all of Flanders and in the main Spanish cities, so carpoolers can see alternatives to carpooling. 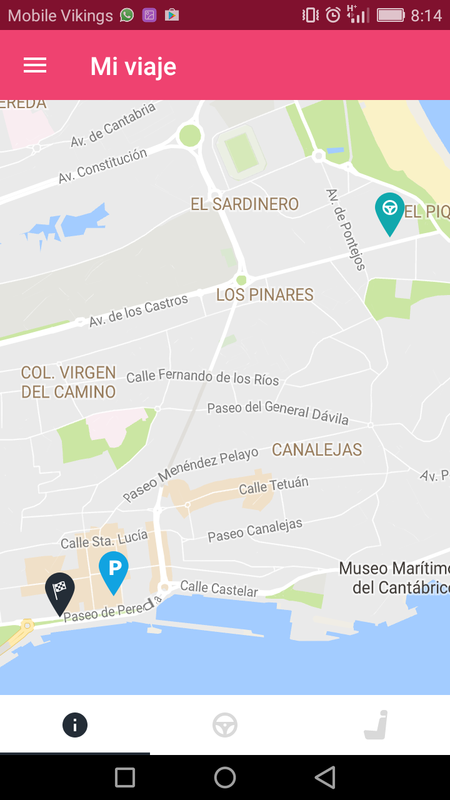 We are working on the integration of real-time parking data in some Spanish cities. We are also actively promoting data standardisation that would help to easily scale and offer solutions across Europe in an efficient way.